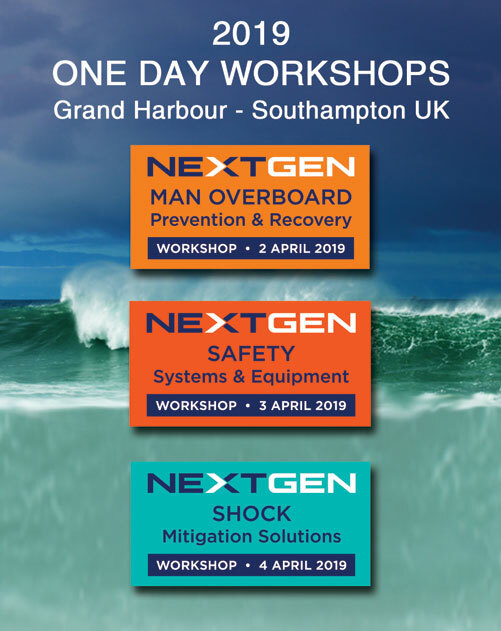 We are pleased to announce a superb group of 25 presenters for 3 one day NEXT GEN Marine Safety Workshops at Grand Harbour, Southampton UK. 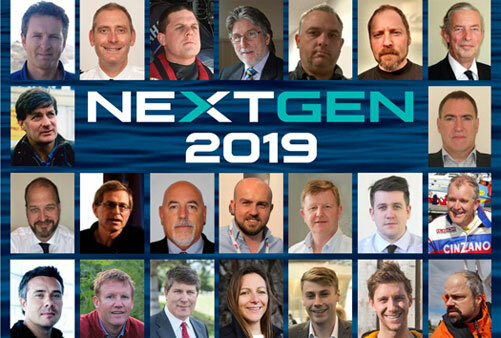 The NEXT GEN 2019 programme combines hot topics and international maritime experts with dynamic panel discussions. End-users and industry come together to share what really works at sea. Fast moving sessions link cutting edge innovation to traditional marine safety. How can we Attach People to Boats with Strong Points, Harnesses & Tethers? When can Electronic Signals or Laser Flares be used versus Pyrotechnics? How can we use Dynamic Risk Assessment to improve Safety at Sea? Are Digital Navigation Systems Becoming More or Less Complicated? How do we evolve our knowledge of Vertical Impacts to Lateral and Multi Axis? What quick and simple methods Reduce Risk of Injury on Fast Craft?